My sister's amazing cross-stitch pieces have started to pile up and I knew the kids would be excited if I finally made something out of them. I decided to get them all done in one day and all that assembly line sewing kind of wore me out. But it was worth it and has even resulted in my stubborn 2 year-old being excited to go to bed to sleep with her new pillows. First, I completed the Frozen pillow, using the perfect snowflake fabric from a LQS. I used pieces of leftover quilt bindings to bind the pillows and went the extra mile by making zippered backs for all of the pillows. (I am finding that the envelope backings for previous pillows I have made aren't too hardy, especially with frequent use by children). I can't wait to show off what my sister has been stitching me as a "late" birthday present! Thanks for reading. 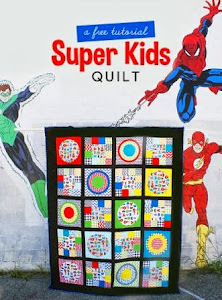 Linking up with Crazy Mom Quilt's Finish it up Friday. Oh these pillows are amazing. As is your sister's cross-stitching. And you're right that snowflake fabric is perfect for the frozen pillow cover. You don't happen to know the name of the print, do you? Love the pillows! Makes me want to get busy cross-stitching. Love them all. Great job! Wow! These pillows are awesome! Beautiful work by both of you - what totally gorgeous pillows! WOW! These are some stunning cross-stitch work and I love the how well the you made them into pillows. I know my daughter will gravitate towards the frozen pillow. Its been really fun seeing all 3 pillows. These are so cute! I'll be doing a cross stitch pillow soon so this is great for me to see! What a great gift! 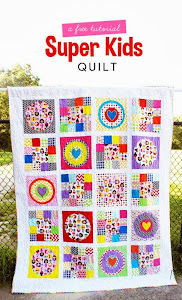 Your fabric choices work so well with each of the cross-stitch pieces! I know a girl who would love some cross-stitched Frozen characters for her playroom. I might have to add that to my long Frozen list! Lovely finishes!